Social bookmarking is a technique for people to store, organize, search, and manage different “bookmarks” of web pages. Internet users or visitors of different websites often wish to save the links to their visited websites they like or want to share. For this purpose, they use social bookmarking sites to store wide array of links. There are many popular social bookmarking sites are available in internet. Most of these bookmarks, like dig.com or newsvine.com etc. are public, which can be viewed by the other members of the social sites where they are stored. The technology proved to be helpful in various ways to save time and get tremendous benefit in business. Social bookmarking means links are listed on a network. Social bookmarking websites are those websites which provide backlinks to the other website. Do-follow social bookmarking sites play a vital role to better the search engine position of your sites and blog post. It not only improves the sites, but also increases the page rank site. What is Do-follow and No-follow social Bookmarking sites? To increase the Domain Authority of your website , you need to create quality backlinks for your website. To attain quality backlinks you need to submit your website to websites that are Â having Â high Domain authority and page rank on Google and other major search engines. So, it is better to bookmark your website link to websites having High Domain authorityÂ to get backlinks. Do-follow websites are those website which provide backlinks and pass the link juice to other website. These website provide baclinks in anchor tags. No-Follow websites just provide a link to other website but generally these links are rel=nofollow in nature. These links does not provide backlinks and does not pass the link juice. A social bookmarking site helps to drive impressive traffic to a website. In fact, these sites provide quality traffic. Search engines frequently follow results from bookmarking sites. So, a bookmarked site can avail extra benefits to get priority in search results. This is a great opportunity to for an intensive website promotion. It is customary that people bookmark a link in more than one bookmarking sites. As a result, a link gets wider opening and within a few days, traffic enhances manifold. It is necessary to add popular social bookmarking buttons to the website, so that the visitors can easily share it through those social bookmarking sites. 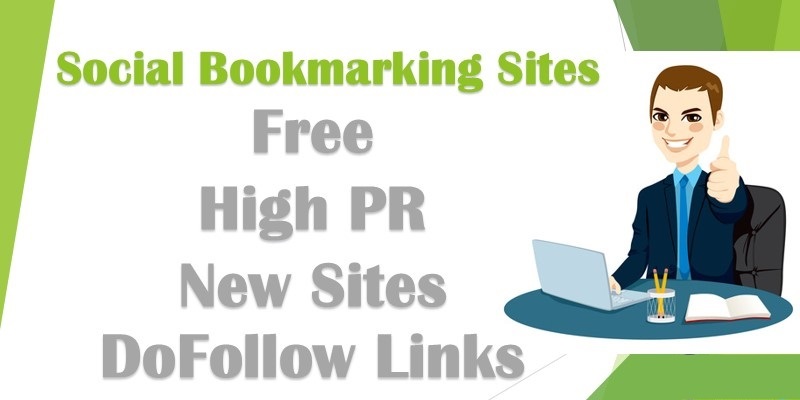 We will also update free bookmarking sites list of 2018 soon. Why Online Reputation Management is Important for Your Business? Best Benefit of B2B Email Marketing – One Should Avail! Social bookmarking is good thing for seo. Social Bookmarking is the best technique of off-page SEO. Thanks for sharing these social bookmarking websites on internet. Good list Thank you SEO Height for make our SEO on Height. Social Bookmarking websites is a part of off page SEO. Thanks for sharing. Very nice list, great help for getting high PR social bookmarking sites. Social Book Marking is well known for seo. Thanks for lovely information regarding off page SEO. Thanks for this helpful list of social bookmark websites of 2016. I will use these website in the future. thanks again.